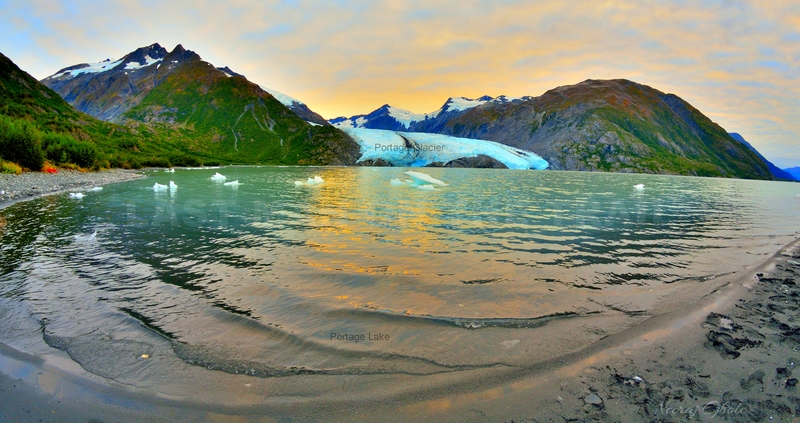 Portage Pass near Whittier is accessible through a short but interesting hike. 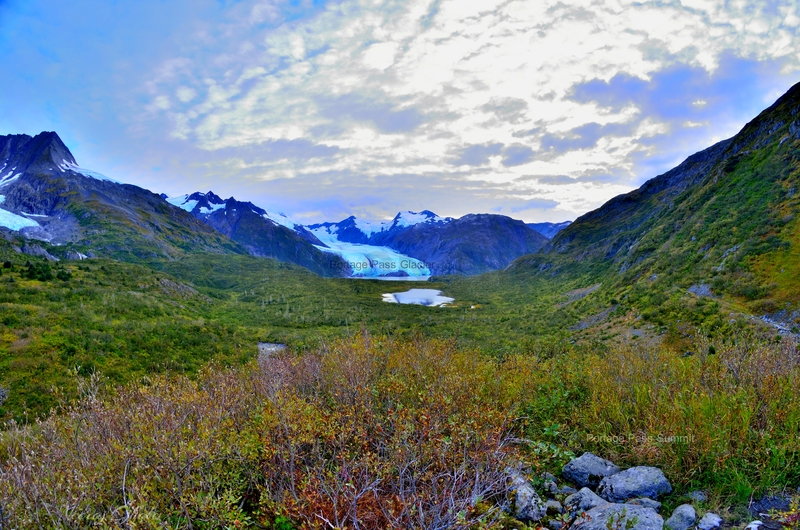 The pass houses a glacier called the Portage Pass Glacier (wallah!) and a lake which is mostly glacial melt evident from a very light green hue. However to get to the lake or the glacier, you got to climb 750 ft in elevation in a little over 3/4ths of a mile. 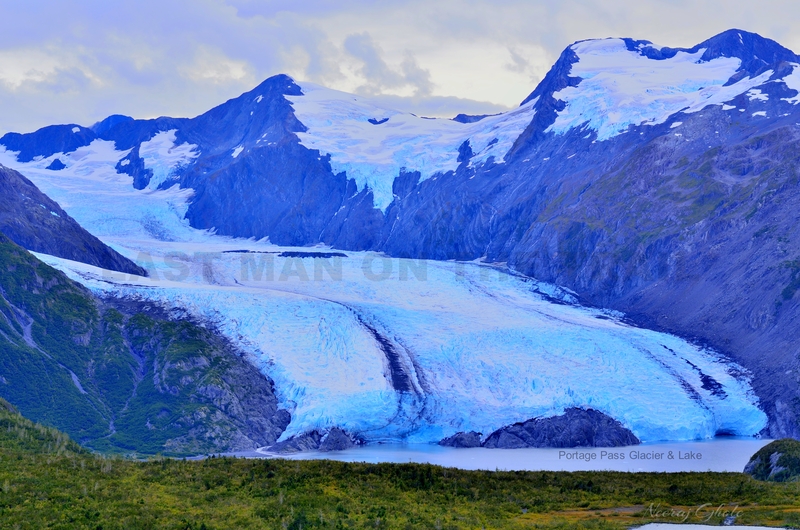 Once at the summit you get a clean view of the Portage Pass Glacier. Another 1.2 miles in an almost steady descent to lose nearly all of the 750 ft you just gained will take you to the shores of the Portage lake. An entire round trip can be covered in 120-150 mins by a bear spray-less hiker (times may vary). 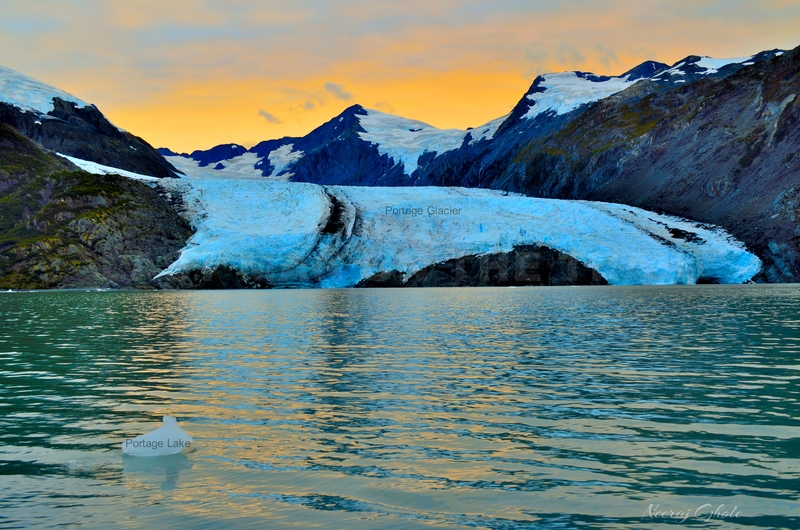 Once at the lake, the glacier is no more than 1/4 of a mile accessible through the shoreline. You could also possibly try to hike the rocks adjoining it (at your own risk – there are no trails). A very beautiful and picturesque setting. Beware of bears – reads the only sign board at the trail head. Leave that jerky in the car. Special mention – Whittier tunnel can take up to an hr to and fro. Make sure to plan your trip accordingly.